Here is a screen shot of the Connection Manager DNS Bug. 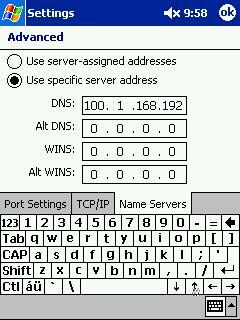 The IP address for the specific server is 192.168.1.100 and it is reversed once the application is closed (i.e. : soft reset or actually closed). Otherwise it looks fine if you go back and check it. The system still connects fine since it is a display bug only.